The Dorothea Dix Psychiatric Center in Bangor. 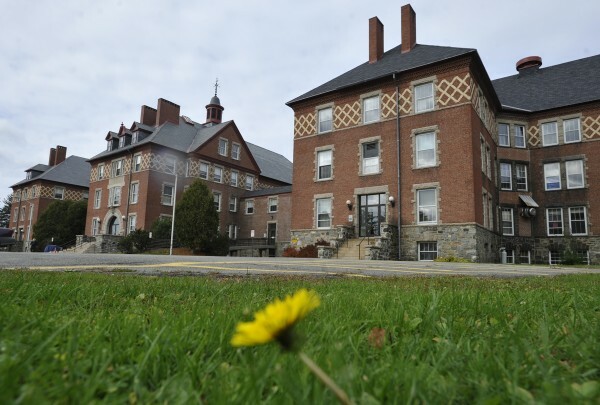 BANGOR, Maine — Bangor officials are preparing to work with the state in hopes of ironing out a deal to put to use some 100,000 square feet of vacant space inside Dorothea Dix Psychiatric Center as housing for those who don’t require full hospital care. Gov. Paul LePage signed a resolve on June 14 that will allow the commissioner of the Department of Administrative and Financial Services to sell or lease property at the complex. Bangor officials said the legislative approval took longer than expected — about 9 months — and that they’re eager to begin talks. The resolve won’t become effective until 90 days after the end of this legislative session. Bangor officials want to assist the state and Bangor Housing Authority’s development wing in crafting a deal for the lease or sale of a portion of the unused space at Dorothea Dix to complete the housing project, according to City Councilor Joe Baldacci. “We’re hoping this can be a transitional support for people so they don’t have to be hospitalized for as long,” Baldacci said in a recent interview. Last year, after about nine months of meetings, an ad hoc committee delivered its redevelopment proposal to the state. The passing of the resolve allows talks to proceed to formal stages of the negotiations. Dorothea Dix, formerly known as Bangor Mental Health Institute, is a 51-bed psychiatric hospital that serves patients suffering severe mental illness. The beleaguered mental institution has faced a $2.5 million budget cut in 2011 that prompted extensive discussion, and worry among Bangor officials, that it might shutter its doors. The hospital was able to stave off closure, but laid off 45 employees in 2012 to close its budget gap. The facility eliminated a 91 positions, about half of which were unfilled. In spite of the fact that the hospital is down to just 51 beds, it still serves an average of more than 350 patients per year, according to hospital officials, making it an extremely important asset for Bangor and communities across the state. Baldacci said that this housing would allow the hospital to treat and house the most acute patients, while still providing close support for residents of the new Bangor Housing apartments. That would lower the hospital’s per-patient cost, Baldacci said. “Anytime we can keep people who have a diagnosed, serious mental illness off the streets and connected to a treatment program and in a decent housing situation — if we can do that we’re serving everyone in the community,” Baldacci said. Other groups have taken interest in various parts of the large campus, and the state plans to work with them as well, according to Jennifer Smith, spokeswoman for the Department of Administrative and Financial Services. United Technologies Center expressed interest in renovating a storage facility as an educational project. At one point, Maine Veterans Home asked about acquiring Hedin Hall to house some of their programs. John Bapst Memorial High School has a longstanding lease for use of some of the property as athletic fields and might be interested in taking the title for some of those fields to ensure their future availability, Smith said.